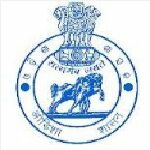 Odisha DRDA Assistant recruitment 2016-17 notification apply for 2 posts : District Rural development Agency (DRDA), government of Odisha welcomes application for the position of 02 Multi – purpose assistant (Gram Rojgar Sevak) for Lingada GP and Gadapur GP block purely on temporary and contractual basis. Candidates who completed their +2 class is a good opportunity.The individuals who are the occupation seekers searching for govt employments in Odisha this is the best chance to apply. Competitors read the official notification then read all the guidelines and miners precisely then apply before the last date online application got. All the interested and eligible candidates can apply before 27th July 2016. Candidates Age Limit: The age of the candidate should not be less than 18 years and should not be more than 40 years as on 1st July 2015. Academic qualification details: Candidates should have passed +2 class standard examination board. Preference will be given to Graduates / candidates having commerce background and having computer proficiency of “O” level with use of Oriya language in computer. Process of applying for the job: Candidates may apply in prescribed application form along with attested copies of the reputed documents / testimonials in support of educational qualification / mark – sheets / residential certificates send by Registered post / speed post to project director, DRDA, Kandhamal on or before 27th July 2016. Important Dates: Last date for the submission of online application is 27th July 2016.